Nissan Motor Co. is lowering the price of its all-electric Nissan Leaf car by 3,000 euros, or nearly $4,000, in Europe. The price is being cut by £2,500 in the UK, cutting the price of the LEAF to £23,490 (after the £5,000 taxpayer bribe to buy an EV), and in addition Nissan are offering a deal at just £249 a month for a new LEAF. 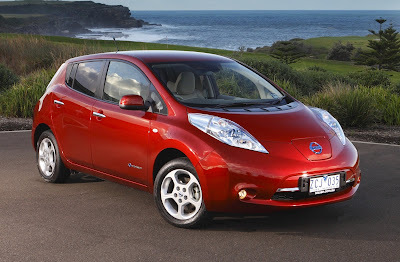 Nissan recently slashed Leaf prices by $6,000, or nearly 20 percent, from around $28,800 in the U.S. The Japanese carmaker said it wanted to make the zero-emission Leaf more affordable in its three main markets — Japan, Europe and the U.S.